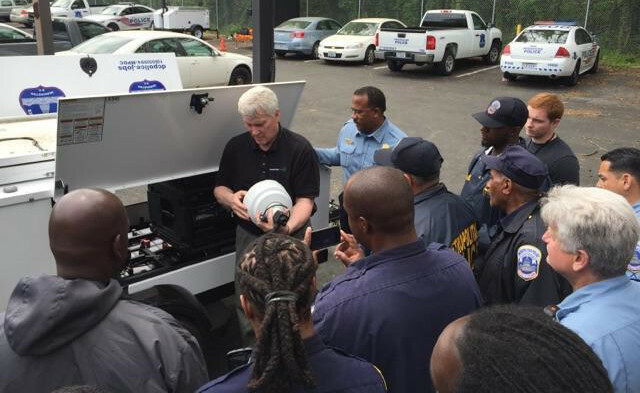 Mobile Pro Systems in partnership with Hitachi Data Systems provided on-site user training to a Washington D.C. area police department. After delivering five Commander 3400 surveillance trailers, Mobile Pro Systems conducted a 2 hour training session on the setup and deployment of the trailers including safety guidelines. Over 25 law enforcement personnel were in attendance and many commented how impressed they were with the functionality and quality construction of the units. The police department plans to deploy the trailers immediately for remote observation in high crime areas as a force multiplier.